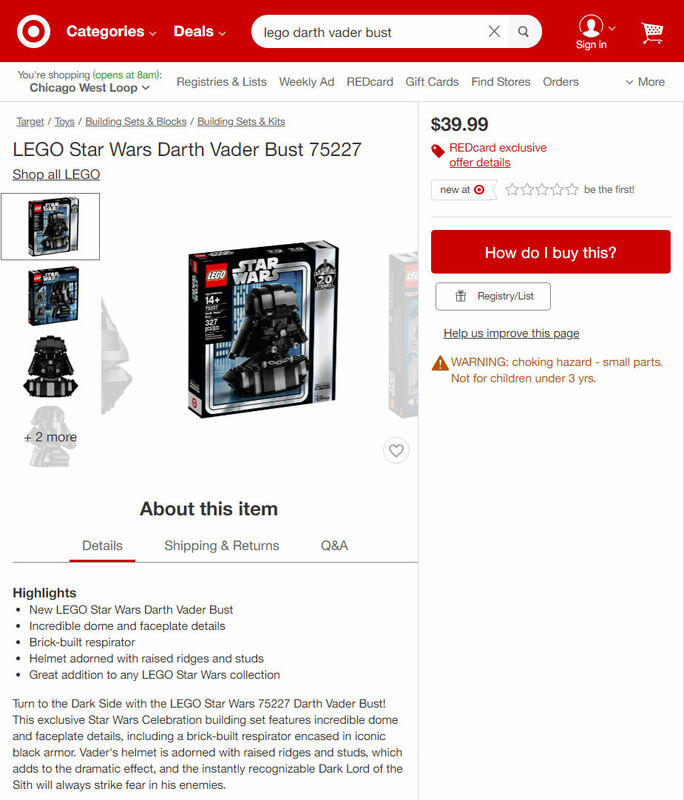 In another slight change to the schedule, the exclusive 75227 Darth Vader Bust that LEGO made available at Celebration through the lottery system is now available to order from Target for REDcard members. The packaging on this set is different to the convention exclusive, in that it lacks the Star Wars Celebration 2019. Click on the screenshot below to jump to the order page. There is a limit of one per customer - not one per order - so multiples can not be purchased. On the plus side Target is shipping these next week, once Star Wars Celebration 2019 is finished.